Track 4 from my 1997 album &apos;The Man Who Isn&apos;t There&apos;. 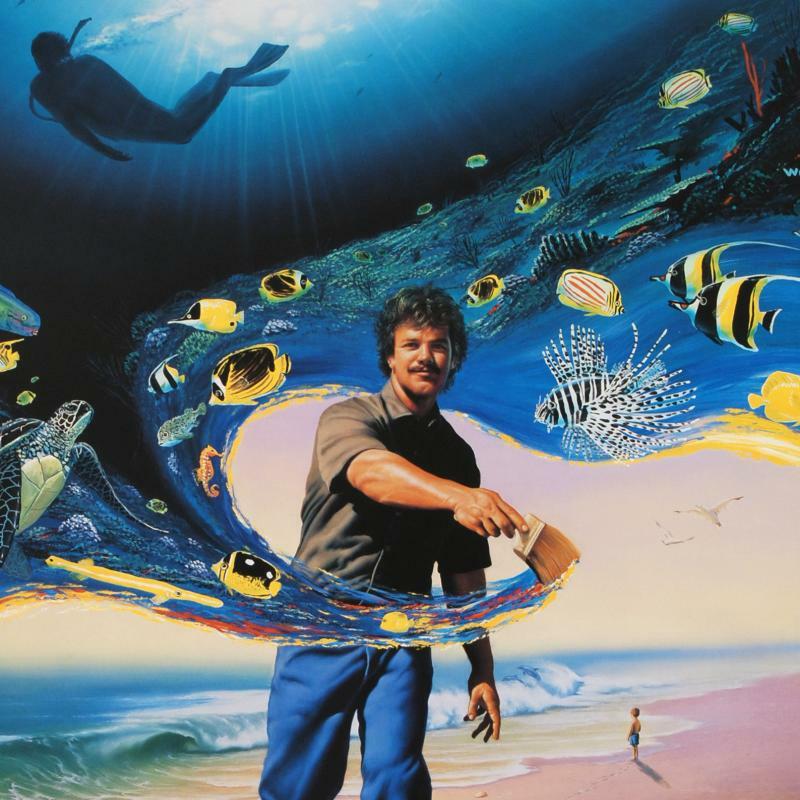 Robert Wyland is an American artist best known for his large outdoor murals featuring images of life-size whales and other sea life. Steve was a huge fan of his, and borrowed money from me to buy a copy of the piece shown above. After he dumped me, the only time I saw him was each week when he came to pay back another installment. This was actually the first song composed for this album, and the first recorded when I decided to aim at doing a whole album. How does it feel to discover you’ve been used as bait to rekindle an ex’s interest? Something like this. So it felt so right to lie with me all through the night. I just can't believe you'd leave just when things looked so bright. Don't think I can take this. Don't think I can make it. That you'd ever go back to him. That I would be your fool. Said I loved you only. So glad to not be lonely! I just believe you'd leave, that it was all a lie.